Aline was born and raised in São Paulo, Brazil. 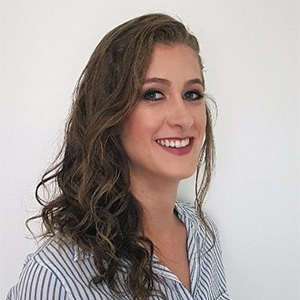 Having worked at large corporations such as Itaú Unibanco and Telefonica, she is a finance professional, with banking experience and a background in financial analysis, advisory, project management and business development. She has a Bachelor degree in Economics from the University of São Paulo (USP) and a Master degree in Finance from Fundação Getúlio Vargas (FGV). During this period she did an exchange program in Budapest, Hungary. As a volunteer, she worked for TETO, where she constructed houses in poor communities in Brazil and also for Cidadão Pro Mundo, where she was an English teacher for young adults. As a changemaker she wants to work aimed at alleviating poverty and reducing inequalities. She is interested in social businesses, especially those that can be replicated and scaled to every corner of the world.